The Bancroft Library supports research, teaching, scholarship, and creative endeavors involving the use of materials from our collections. We provide a variety of duplication services to meet the needs of our researchers. The Bancroft Library encourages on-site researchers to use their own cameras in our Reading Room to capture images from Bancroft collections for their personal reference and research use. If you are unable to visit the Reading Room yourself, Bancroft staff can provide you with a list of independent researchers who can visit on your behalf and take reference images for you. Please contact Bancroft Reference at bancref@library.berkeley.edu for the current list. 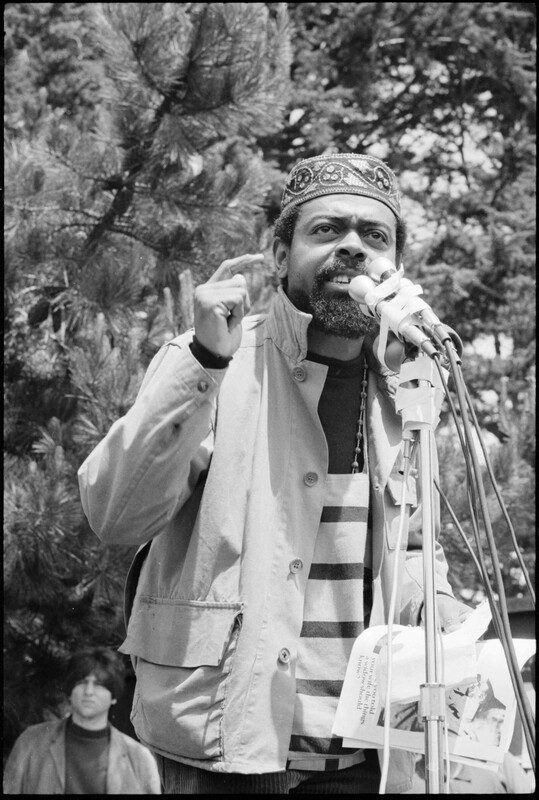 LeRoi Jones [Amiri Baraka], Black Panther speaks, San Francisco State College, Fang family San Francisco examiner photograph archive negative files [graphic], BANC PIC 2006.029:140324.08.13--NEG. 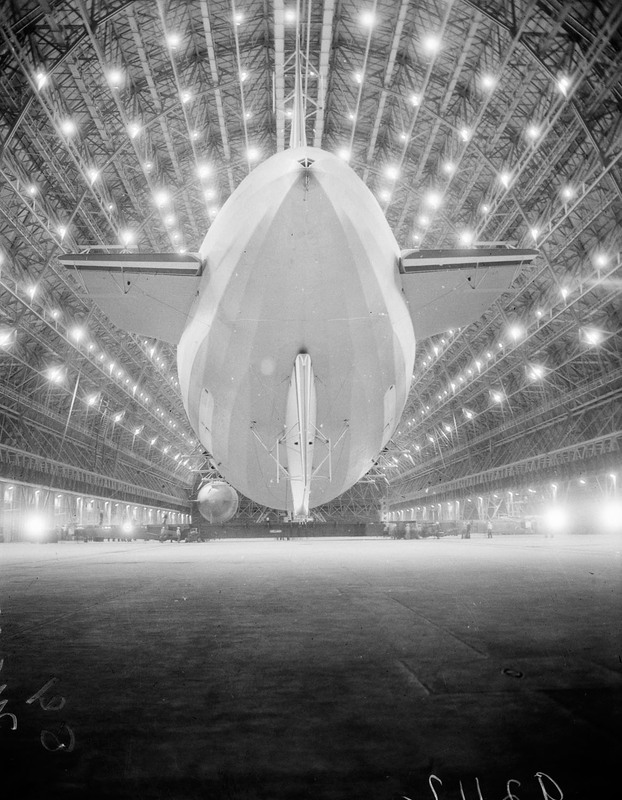 The dirigible Macon, Fang family San Francisco examiner photograph archive negative files [graphic], BANC PIC 2006.029:092112.01.01--NEG. 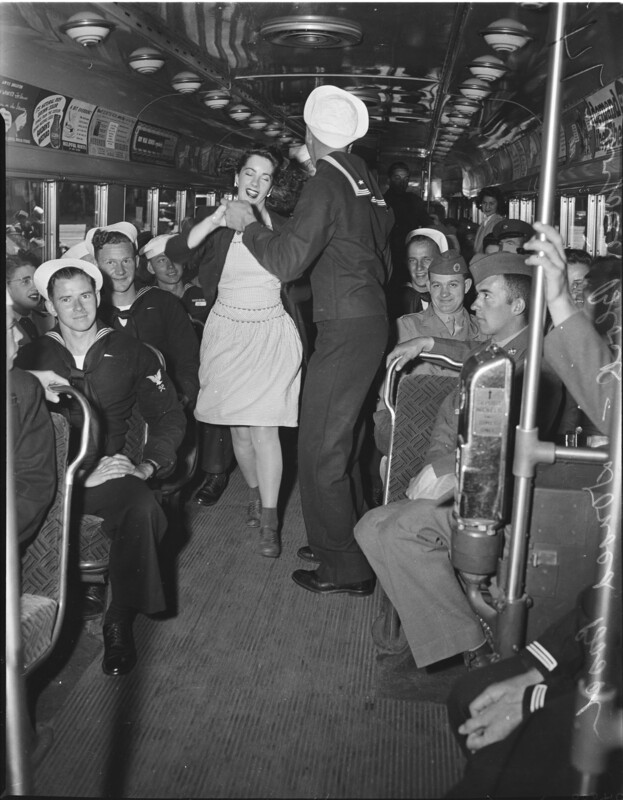 Marjorie Black dancing with Signalman 3/C Donald Basch at a United Service Organizations streetcar party, Fang family San Francisco examiner photograph archive negative files [graphic], BANC PIC 2006.029:124988.01.02--NEG. 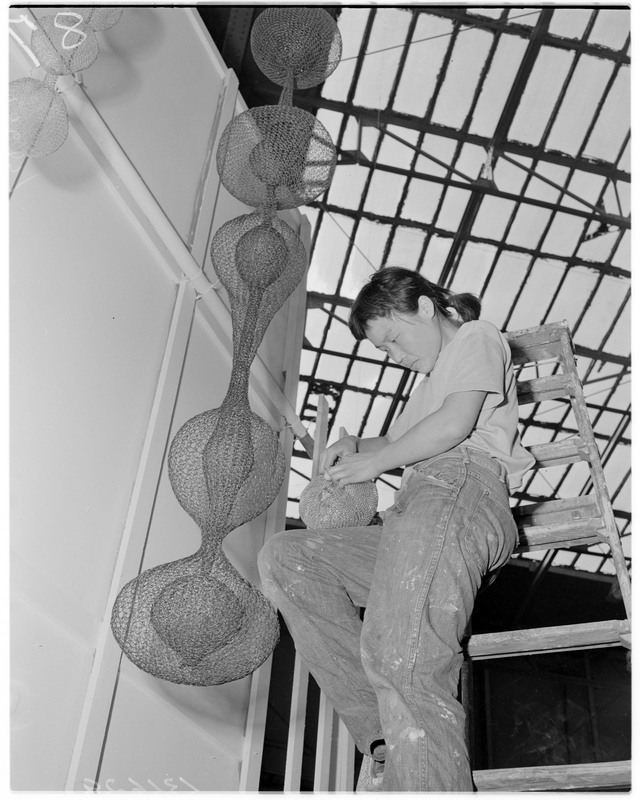 Ruth Asawa, Fang family San Francisco examiner photograph archive negative files [graphic], BANC PIC 2006.029:136837.01.01--NEG. 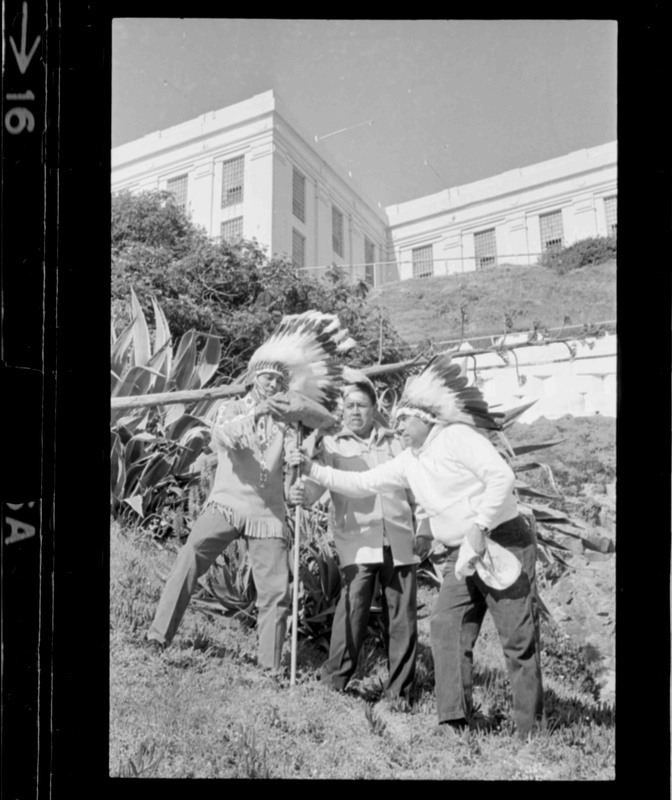 Alcatraz Island invasion by Indians. Sy Williams, Martine Martinez and Richard McKenzie stake claim, Fang family San Francisco examiner photograph archive negative files [graphic], BANC PIC 2006.029:138799.02.18--NEG. Sit-in trial demonstration with David Goines, Allan Ginsberg and Jack Weinberger, Berkeley. 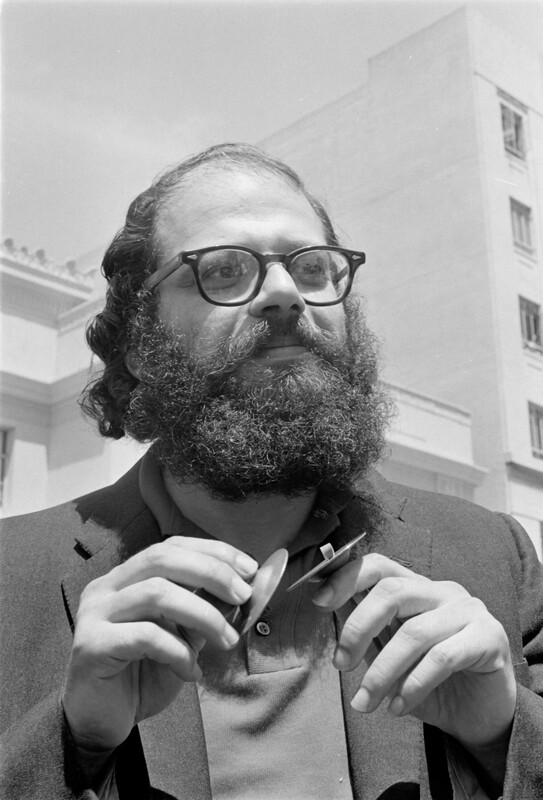 Allen Ginsberg playing cymbals, Fang family San Francisco examiner photograph archive negative files [graphic], BANC PIC 2006.029:139150G.11.22--NEG. 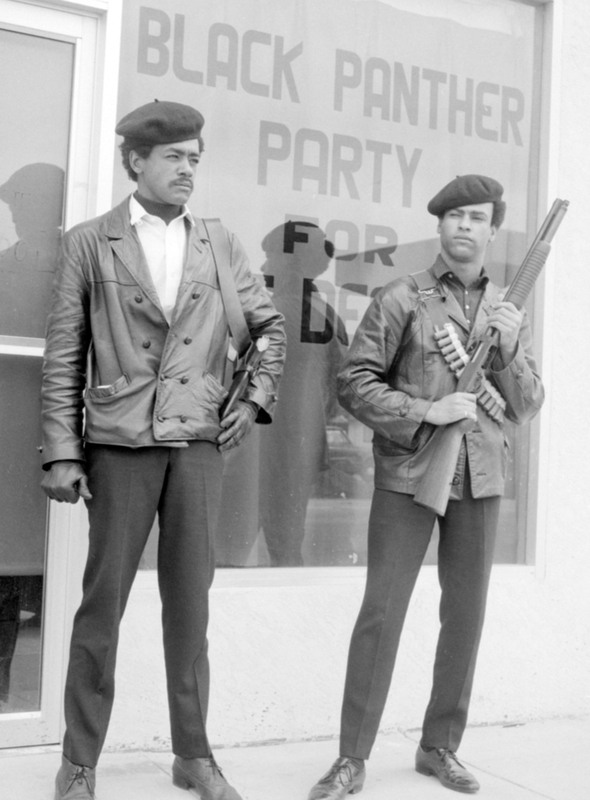 Bobby George Seale and Huey Newton of the Black Panther Party for Self Defense in Oakland, Fang family San Francisco examiner photograph archive negative files [graphic], BANC PIC 2006.029:139458N.01.01--NEG. Steelwork and steel flooring on the San Francisco anchorage of the San Francisco-Oakland Bay Bridge, Fang family San Francisco examiner photograph archive negative files [graphic], BANC PIC 2006.029:001679.46.12--NEG. Photocopies are copied on paper in grayscale and may be delivered via USPS or picked up in person. This photocopy service is intended for personal research use only and may not be used for publication, exhibitions, etc. See the Fee Schedule for pricing information. The standard turnaround time is 7 business days. The turnaround time begins when payment has been received, not when the order is submitted. We cannot guarantee a delivery date and do not offer rush services. The Bancroft Library provides digital copies of A/V material in conjunction with a third-party vendor. Users requesting access to material for which a digital file has not yet been made must be prepared to meet all costs involved in the making of preservation masters for The Bancroft Library in order to obtain the copies they are requesting. These costs are assessed on a case by case basis, and a staff member will work on providing you with a quote after your formal request for duplication (via Aeon) has been made. We no longer provide audio duplication via cassette or CD. See the Fee Schedule for pricing information. Due to copyright restrictions, we are unable to duplicate any commercially produced audiovisual materials. The Bancroft Library will only provide duplication of collection material that is no longer within the prescribed term of copyright, i.e. 95 years from the original date of registration with the U.S. Copyright Office, and films published prior to 1923. Please note that California has a civil statute that provides that the author of an original work consisting of a sound recording initially fixed prior to 1972, has an exclusive ownership therein until 2047... (California Civil Code § 980(a)(2)), and as such we are unable to provide duplication of this material for any reason. The standard turnaround time is 60 business days. The turnaround time begins when payment has been received, not when the order is submitted. We cannot guarantee a delivery date and do not offer rush services. The Bancroft Library provides high-resolution, publication-quality digital copies of Bancroft materials. Materials are imaged as 24-bit TIFF, RGB-formatted digital image files at a size of approximately 100 MB and are delivered digitally via FTP. The resolution of most digital images is 600 ppi at 8" x 10". If original material is oversized, the imaging process may require multiple photographs and an additional stitching fee. The standard turnaround time is 45 business days. The turnaround time begins when payment has been received, not when the order is submitted. We cannot guarantee a delivery date and do not offer rush services. 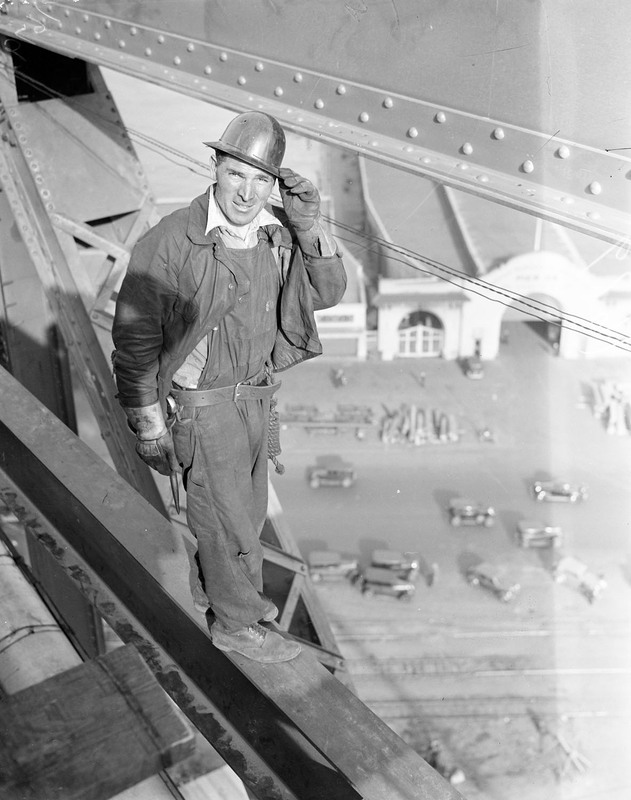 The Bancroft Library provides research quality scans of Bancroft materials delivered via download in PDF format. PDFs are created from either original material or existing microfilm reels. When microfilm is available and in good condition, the PDFs will be scanned from microfilm. PDF scans are provided in color, whenever possible. This research-quality PDF service is intended for personal research use only and may not be used for publication, exhibitions, etc. This service does offer basic OCR, but it does not work on all the materials that are reproduced. PDFs are delivered digitally via FTP. This service is only to reproduce consecutive pages and entire manuscript folders, volumes, etc. C.U. axe rally mascot and axe, ca. 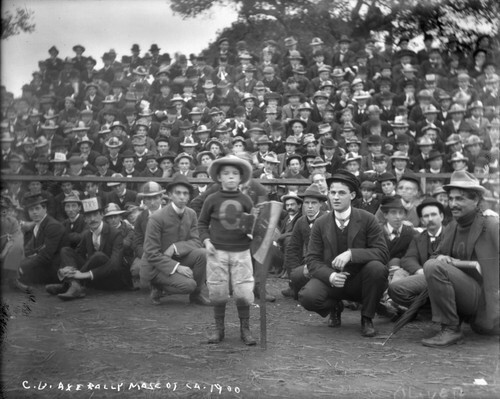 1900, University of California at Berkeley, Roland Letts Oliver photograph collection [graphic], BANC PIC 1960.010 ser. 1:0033--NEG.